If you have ever considered doing business in Southeast Asia, you would have definitely come across Singapore. Known globally as the “ business hub of Asia” and regarded as an ideal meeting destination by many, Singapore is one of the best places for people to set up shop thanks to a myriad of reasons. The geographic location of the city-state is a strategic stepping stone into the Southeast Asian markets, and there is strong government support for new businesses. Perhaps this is why Singapore is constantly voted as one of the most business-friendly countries, and why many people flock to this island nation for work. Rife with opportunities, there’s no doubt that Singapore should be at the top of your list if you are planning to run and start your own company in Southeast Asia. If and when you do decide to make your move to Singapore, here are some things you should know and familiarize yourself with so that you will have an easier time setting up everything. When you want to set up a new company or bring your current company over to Singapore, you will first need to register all the details with the relevant authorities. There will be a fair amount of documentation both online and offline for you to complete, as well as many other administrative and logistical matters to settle. If you want to smoothen this process and make things easier, it is recommended for you to take note of the following government agencies as you will most likely be dealing with them to set everything up. This agency is one that you should know very well, as the Accounting and Corporate Regulatory Authority (ACRA) handles all business registration matters in Singapore. As the national regulator of all business entities, corporate service providers, and all public accountants here in Singapore, ACRA strives to provide well-structured and fair corporate governance, as well as financial reports and audits at the highest level. You can learn how to prepare and file financial statements, file annual returns, liquidating and striking off local companies and much more through the helpful and informative guides on their website. As a business owner in Singapore, you will likely be using ACRA’s BizFile system — an online portal with over 400 services that aim to assist businesses with the filing, retrieval, and submission of statutory documents, and much more too. Singapore is known far and wide for its low tax rates on businesses. The tax system is efficient and competitive to allow businesses to thrive, and there are many types of tax relief available too. 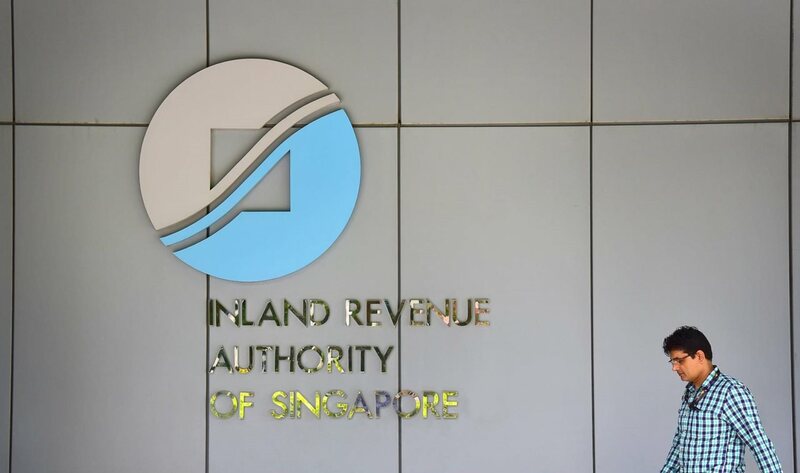 All tax matters go through the Inland Revenue Authority of Singapore (IRAS), the government body responsible for enforcing tax regulations. From corporate tax to Singapore’s goods and services tax (GST), you will likely be in touch with this organization often. If you ever feel lost, there are numerous guides that can help to educate you about various tax matters. These include information on taxable income and company’s deductible expenses, when and how to apply for GST registration, and how to declare and report all employee earnings, to name a few. Enterprise Singapore is a fairly new association. It was formed in April 2018, when two existing government agencies in the Ministry of Trade and Industry — SPRING Singapore and International Enterprise Singapore — were merged together to create Enterprise Singapore. This new consortium is now able to support companies to build their business capabilities and access overseas markets through an integrated support network. Through their platforms, there is much you can learn about, including applying for financial assistance schemes in the form of loans, grants, and tax incentives. Non-financial help is also available, where there is a range of business toolkits to explore, and also make use of resources like information on the Free Trade Agreement and trade statistics. For all things relating to employment, you will need to consult with the Ministry of Manpower (MOM). If you need to know the specific requirements related to the hiring of employees, or guidelines for employees to follow for each industry, you can check out their website. MOM also provides useful information about employment trends and statistics, which can be invaluable when conducting market research. You can apply for work passes and permits here if you intend to hire foreign workers too. The Central Provident Fund (CPF) is a financial security system set in place by the Singapore government to help Singapore citizens and Permanent Residents (PRs) set aside funds for retirement. Every month, a percentage of an employee’s salary is deducted and added to their CPF account, and as an employer, you are required to make a contribution according to a specified percentage as well. The CPF Board oversees all matters related to the contribution of CPF, as well as providing information about matters like Foreign Worker Levy and compliance.